Today we had not one, but two winners in de 1.30m Grand Prix for ponies. Abbie Sweetnam (photo) and Ingemar Hammerström both finished in 38.01 seconds in the jump-off and shared the first prize. 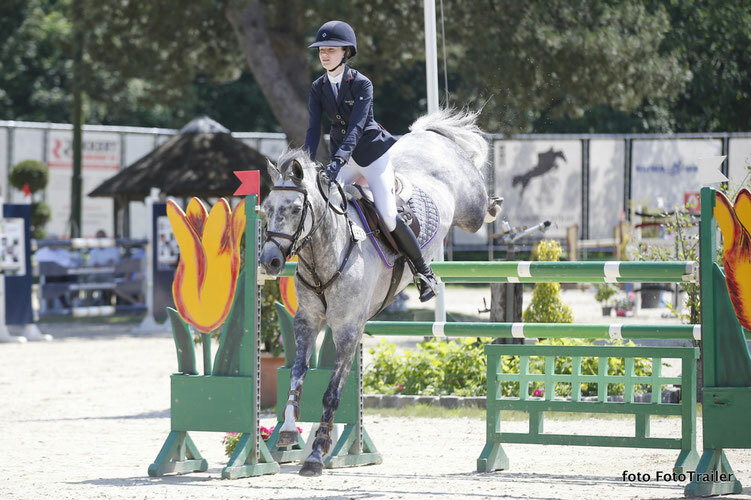 The Irish Abbie Sweetnam, niece of Grand Prix-rider Shane Sweetnam, rode Dynamite Spartacus. The Swedisch Ingemar Hammerström competed with Ocean Des As (Vert Et Rouge). Six of the 28 pony riders came back for the jump-off. Jamie Schlief had one down with Tamar and finished 6th, which was the best results for The Netherlands.